This article first appeared on The Century Foundation’s website. This kind of zeal is commonplace in the military and intelligence services. They have periodically forbidden personnel — and even their families — to visit mainstream sites such as the Washington Post and the New York Times for fear of exposure to documents from Snowden or Wikileaks. The irony is that the Dawn or Doom colloquium was Daniels’s own personal project. Two of the organizers told me he is fascinated by the contradictory responses — from celebration to alarm — that tend to accompany big technological advances. 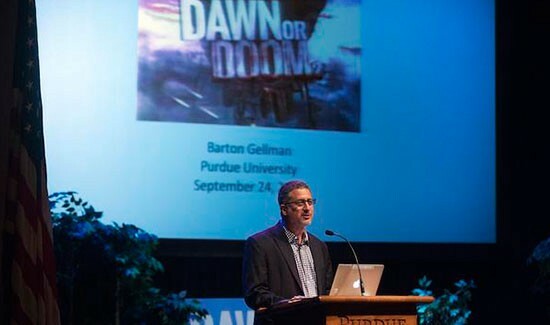 He proposed to convene Purdue faculty members and leading national experts to explore the risks and promises of artificial intelligence, robotics, and Big Data surveillance, among other developments. TCF is a nonprofit, progressive public policy think tank founded in 1919, with offices in New York and D.C. Read more of our work at www.tcf.org and @tcfdotorg. The Century Foundation is a nonprofit, progressive public policy think tank founded in 1919, with offices in New York and D.C.